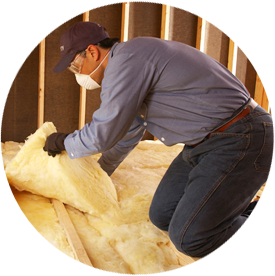 Marv’s Insulation is proud to be a leading installer of spray foam insulation in existing homes, residential new construction homes and commercial projects in Boise, Idaho and the surrounding areas. 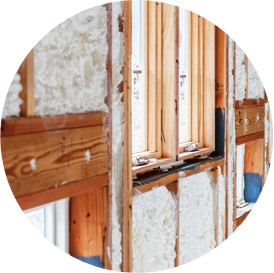 Spray foam insulation is applied wet and quickly expands into thick foam that fits snugly in wall cavities, crevices, and gaps—therefore, it can be installed in hard-to-reach areas and around piping and wiring. Spray foam insulation should be installed by a trained professional—someone who has been trained in the correct installation safety precautions and possesses the required equipment to mix and apply the product. When installed properly, polyurethane spray foam insulation can help reduce energy costs and help improve indoor air quality. Our spray foam team has the knowledge, experience and resources that few companies can match. To learn more or schedule an appointment for your spray foam installation, give us a call or contact us online. We’re looking forward to working with you.